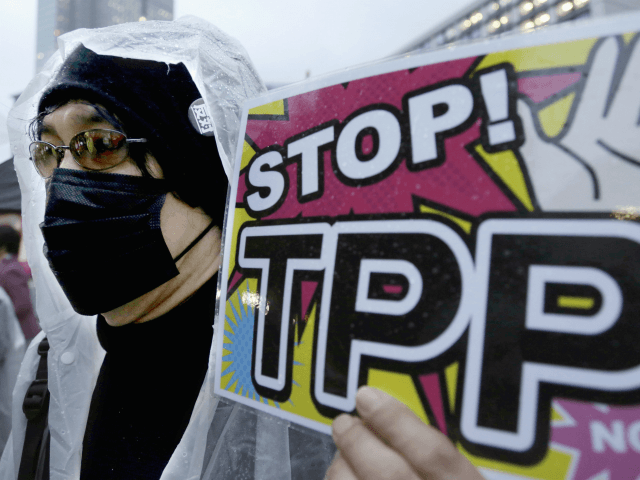 “Would only join TPP if the deal were substantially better than the deal offered to Pres. Obama,” Trump wrote on Twitter. Members of Congress and governors from agriculture states met with the president for over an hour at the White House, leaving feeling confident that he wanted to re-enter the trade agreement. “He looked right at Larry Kudlow and said, ‘Larry go get it done,’” Senator Ben Sasse told reporters after the meeting. The news infuriated labor unions and many working-class supporters of the president.
.@realDonaldTrump #TPP was killed because it failed America’s workers and it should remain dead. There is no conceivable way to revive it without totally betraying working people. Trump clarified that he would continue to seek bilateral trade deals with the TPP nations, and specifically called out unfair trade practices with Japan. “We already have BILATERAL deals with six of the eleven nations in TPP, and are working to make a deal with the biggest of those nations, Japan, who has hit us hard on trade for years!” he wrote.